In his research into the de Argentein family, lords of the Manor of Halesworth, David Wollweber has found some fascinating facts relating to the carved beam on front of the Ancient House, often called Dame Margery’s. At this Thursday’s Museum Talk he will explain some possibe meanings of the carvings and introduce medieval fables and a cast of mythical beasts, including Reynard the Fox, Griffins, Lions, Ape Physicians, and Beavers. He will also discuss where the Carvings came from and who comissioned them. He will also discuss where the Carvings came from and who comissioned them. 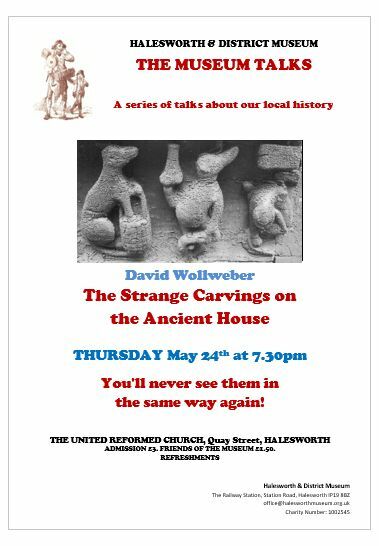 If the carvings have intrigued you, do come to the URC this Thursday for the talk which starts at 7:30pm. £3.00 entrance (£1.50 for Friends of the Museum). There will be refreshments before and after the talk. 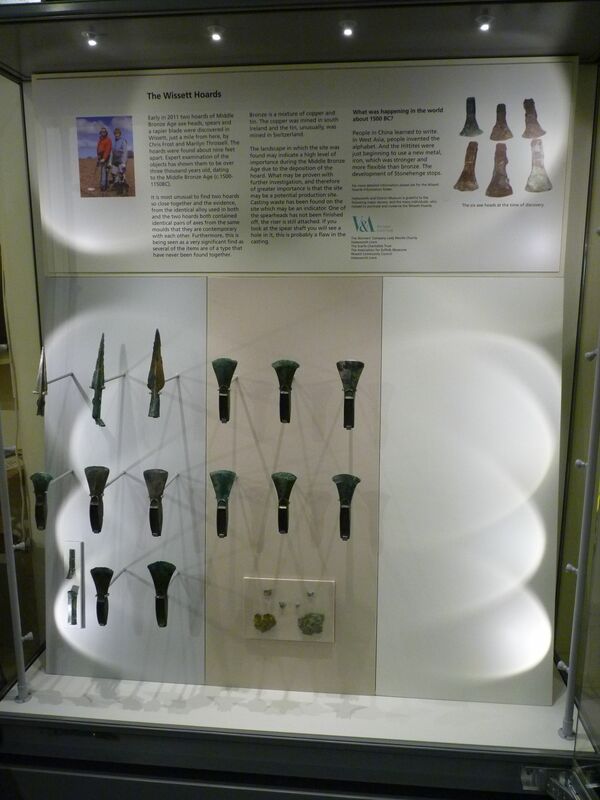 The Wissett Hoards have returned to the Museum in a nice new case. The Halesworth and District Museum has the chance to buy a rare and significant local document that has just been offered to the Museum by a bookdealer in Essex. It is the printed and highly detailed specification of work needed to construct the Bulcamp House of Industry (the Workhouse) in 1764. It was produced by the architect and builder of the workhouse, Thomas Fulcher of Debenham and is accompanied by a hand-written schedule of all the rooms in the proposed building. We already have had the promise of donations and we feel that some of our Museum Friends would also like contribute. Attached is more information about the documents. The documents are with the Museum, on approval, for a few week. To help us purchase them we need donations as soon as possible. 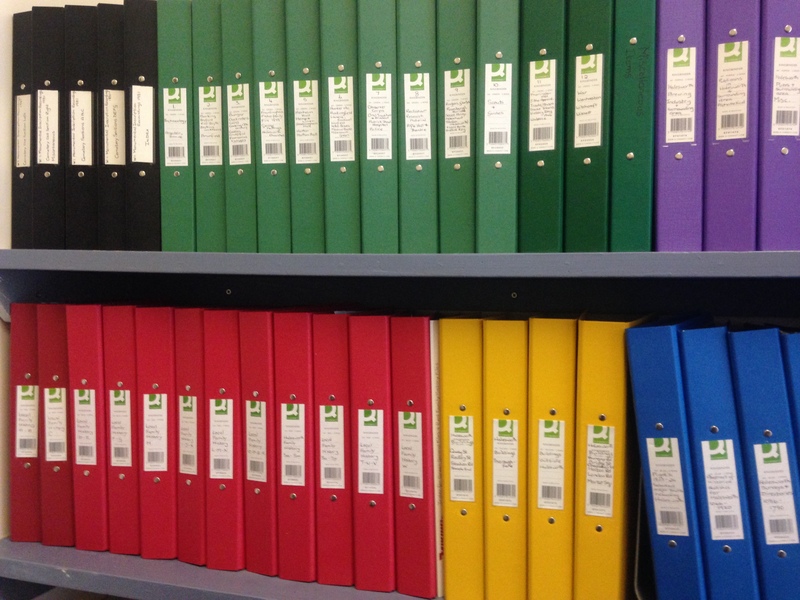 We are pleases to say that we have raised the sum needed to purchase these papers. Thanks to all who have helped us secure them for Halesworth. 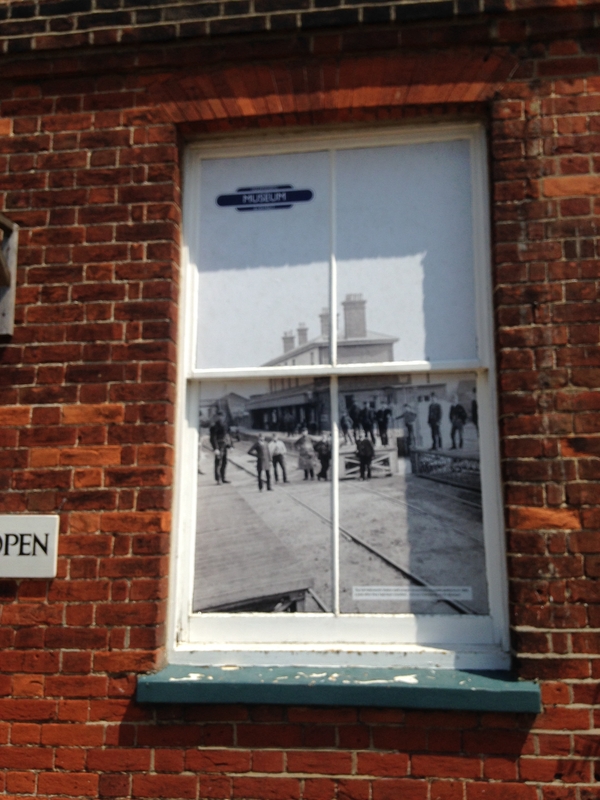 The Halesworth Museum is also planning a display in relation to the British Red Cross, founded in 1870. In the early twentieth century, and in support of the creation of the Territorial Army, a Voluntary Aid Scheme was introduced, making the British Red Cross responsible for setting up Voluntary Aid Detachments (VADs) in every county. In Suffolk the first VAD was registered in 1909, the Detachment in Halesworth numbered seventy men and women who served in the town in WW1. The women were largely engaged in voluntary nursing at the Patrick Stead Hospital and the men in air raid and convoy duties. Henham Hall became one of the 33 Auxiliary Hospitals set up in Suffolk during this war and over 1700 sick and wounded men were nursed there by volunteers from across the country. 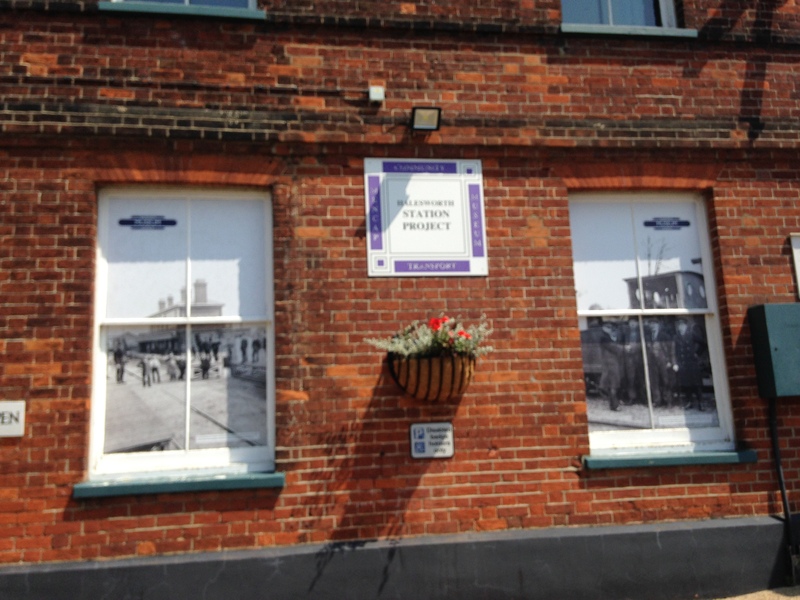 If you have any family photographs or other memorabilia of the Red Cross in Halesworth or at Henham Hall perhaps you would like to lend them to the Museum for a future temporary display, or gift them to the Museum for our collection. In either case, in the first instance please contact our volunteer Dee on 07903 567012. Text would be fine leaving a call back time when she can contact you. 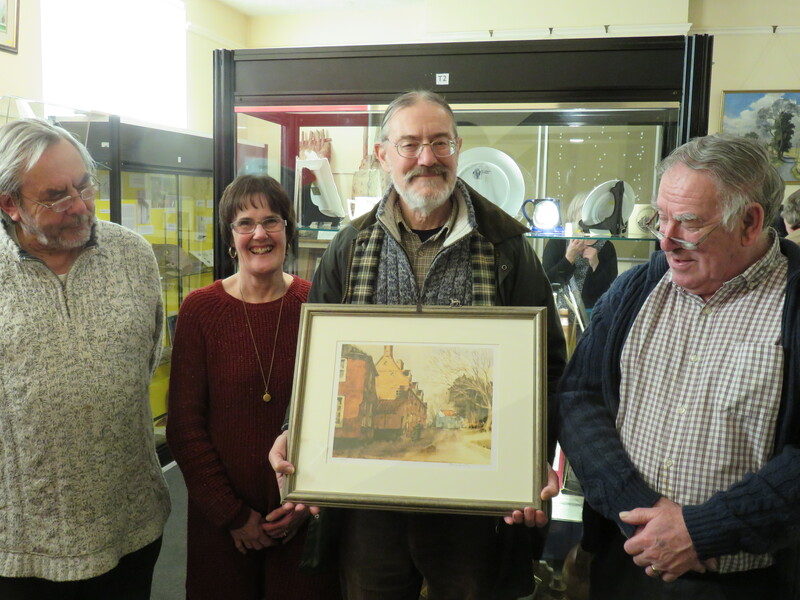 Railway relics return home to Halesworth after being purchased by museum at auction. On 5th January 2018 the Peter Punchard Collection of railwat memorabelia was autioned. Follow the liks to download our news. 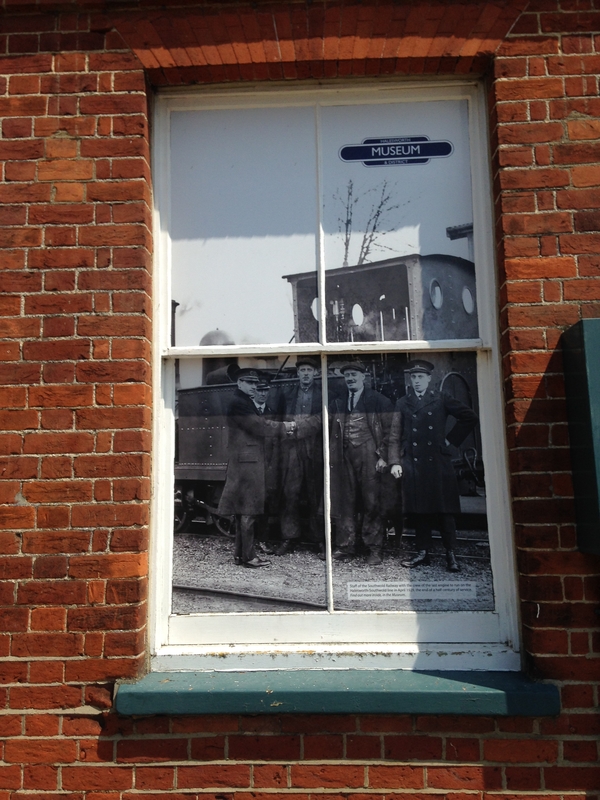 As you may have seen the Museum will be shut from November to the beginn of April due to remedial work being done to cure the damp problem which has affected parts of the Station Building for years. 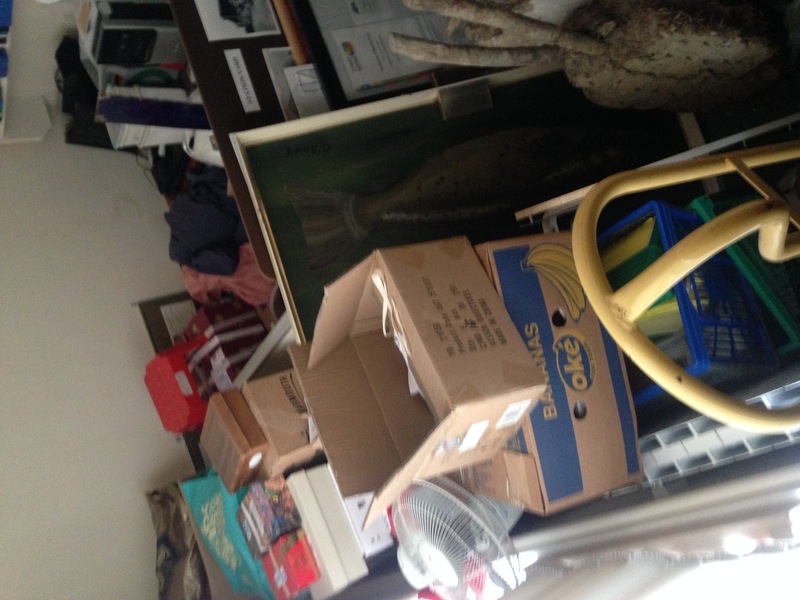 In three days we emptied the display cases ready for the removal firm to take items and cases into storage. Thanks to the seven volunteers who have worked hard achievibg this. Whilst this work has been underwayother volunteers have been responding to queries. We hope that most of the work will be complete by the end of the week. 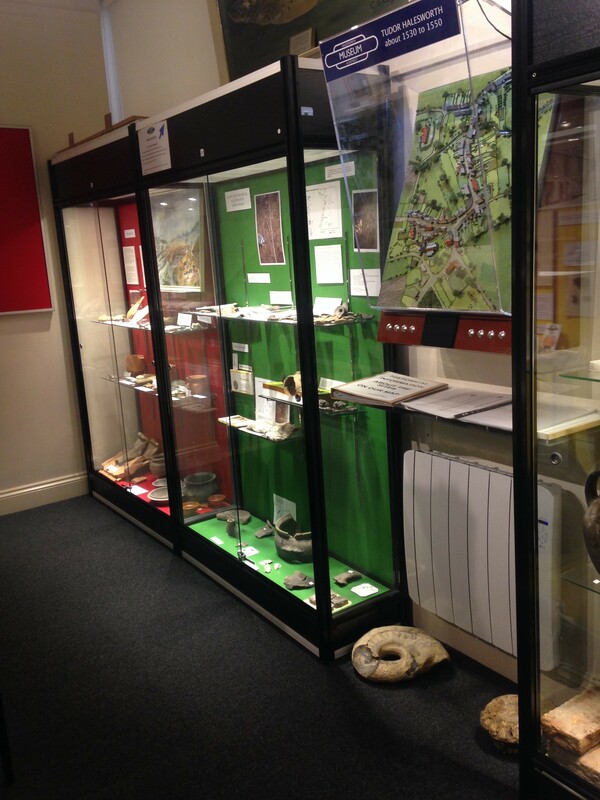 But don’t forget the background work of the Museum will still be continuing. Two panarams: the Study Room and the Museum Gallery and the end of work on 14th. 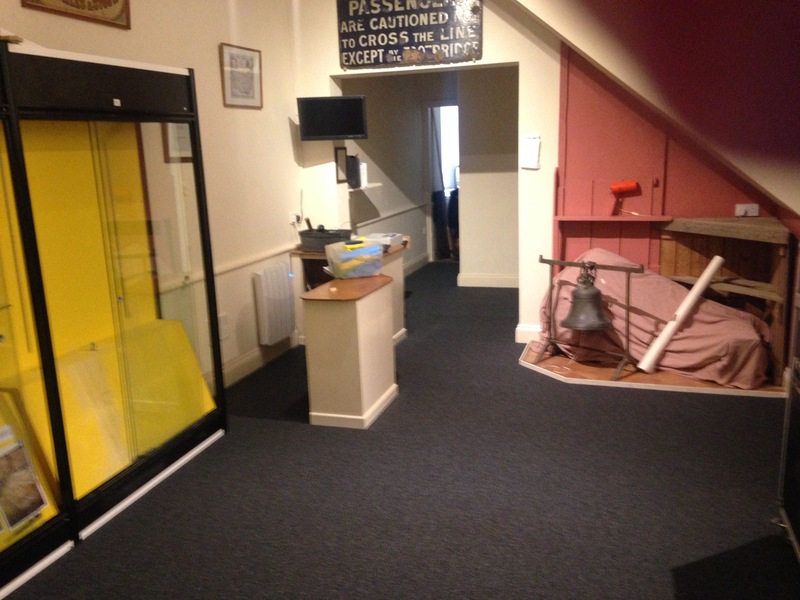 The Museum is reopening tomorrow after the completion of the first phase of work funded by the “Ready to Borrow Grant”. The main room and the study room have been redecorated, the security system has been upgraded and new carpeting has been laid in the public areas. Our spring exhibition has been delayed a few weeks but will be ready by the end of the month. Pictures of the main room and some of our reference works. The READY TO BORROW GRANT has allowed us to do a number of improvements to the public area. So for (end of January 2017) we have pained throughout, improved the security and are carpeting the Main Room, the Entrance Lobby and the Study Room. Here are some pictures taken on 27th January. Two views of the main room with carpet down, but cabinets bare. 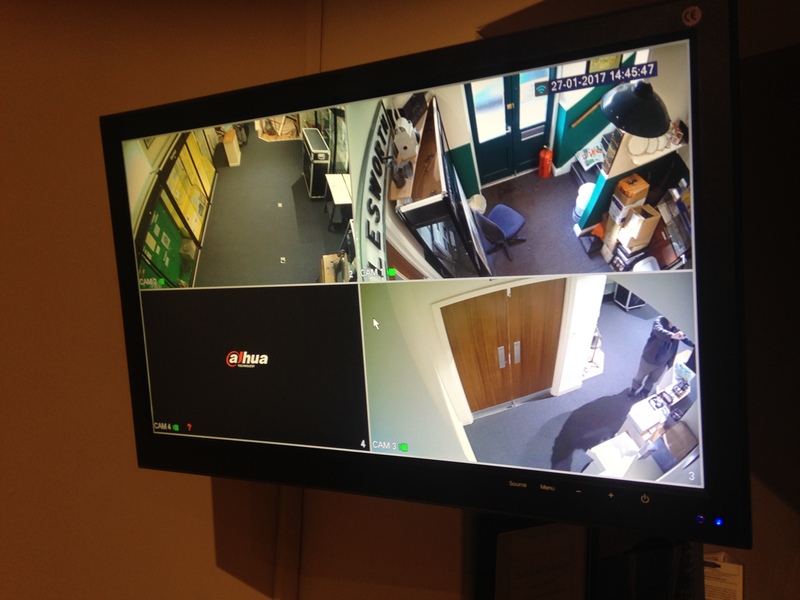 The CCTV console at the stewards desk The study room, which needs to be cleared on Monday. Just tilt your head to the side! Four projects finished so far this financial year . 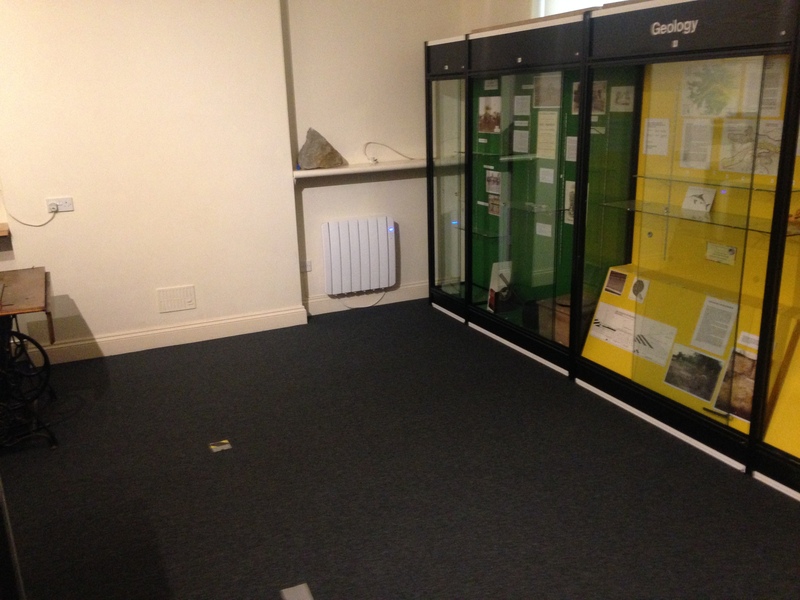 The new heating system is in and working, the entrance hall has new lighting, the display cabinets have LED lights and we have just had the images fixed to the down stairs windows. We are very lucky to have so many volunteers working for our Museum. Some are active in the Museum, some work both at home and in the Museum and some just at home. However we do need more help, additional stewards will be useful as back-ups for holidays of regular stewards or even to add to our regular stewards. 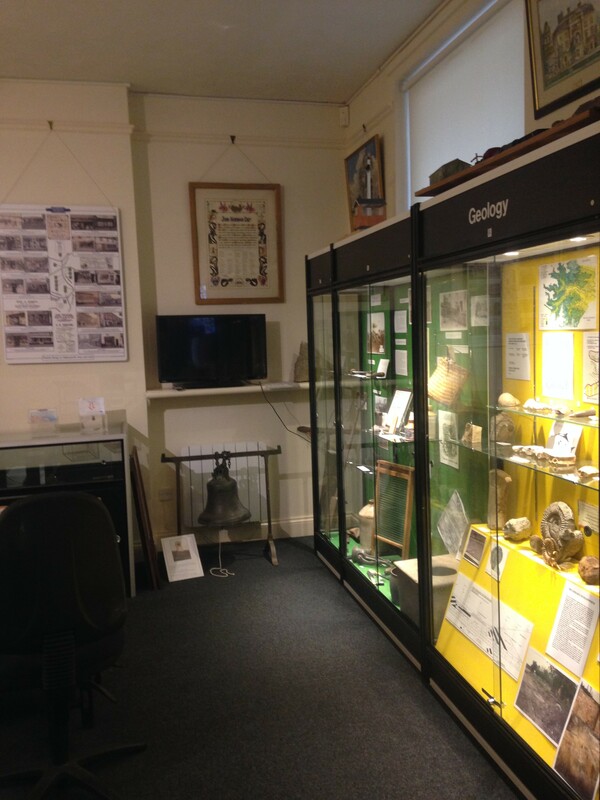 There are many other and varied jobs in the Museum, perhaps you have a particular skill or interest that could be of interest. If you think you would like to help do give us a call. I have just had some sad news. 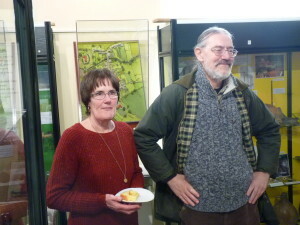 Michael Gooch who wrote the book ‘The People of a Suffolk Town’ together with his wife, has recently died. Our commiserations to his family. On 13 January 2016 Mike was presented with a picture of the Alms House in Steeple End, where the Museum was sited before 2000. Marion, his wife, was presented with a bouquet of flowers in recognition of her support.